The town's name probably derives from the Latin name "Allius" or from the Latin "ad lignum" for the particular richness of the woods in the area. It is a small mountain village located at over 1100 meters of altitude on the slopes of Mount Sharon, in the middle of the Gran San Bernardo valley, on the left of the stream Artanavaz. 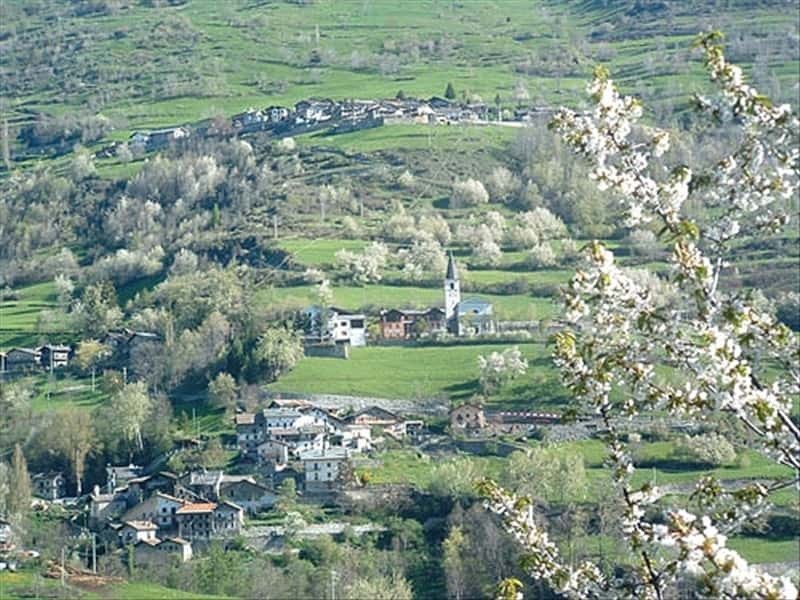 It enjoys a sunny location and is just 15 kilometers from Aosta. The municipality is composed of several villages, all linked by a network of trails that connect to neighboring municipalities of Allein, such as: Gignod, Etroubles and Doues. The presence of these connections offers the possibility to spend pleasant hours, by mountain bike or on foot, in direct contact with nature, discovering the rich local alpine flora and fauna. The first evidence of dwelling, date from the time of colonization by the Romans, whose influence is evident by the name. Allein has always been linked to the road leading from Aosta to the Great St. Bernard and this, ever since pre-Roman times, allowed trading between the populations settled on both sides of the Alps. During the Middle Ages, Allein belonged to the Lords of De Gigno, that also ruled over Gignod with the Lords of Dossan, De La Porte and Archieri. Towards the middle of the XIII, the De Gigno, lost their lands that were assigned by Amedeo IV of Savoy and to the Lords of Quart. When the last heir of this dynasty died in 1378, the feud was administered directly from the Savoy, who in 1584 formed the barony of Gignod which also included Saint Etienne, Saint Martin de Corleans, Etroubles, Saint Rhémy, Saint Oyen and part of Allein. This part was assigned to François de la Crete, as a reward for his dedication and services received. Then it passed to the Marquis Pallavicini, and finally to Count Ernesto of Sambuy. The Parish Church, dating back to 1307, was originally situated in the district of Villa. Because of landslide problems, it was rebuilt in the XV and XVI centuries, until the inhabitants decided to build a new building in a better place. The new church, built from 1839, preserves inside objects from the previous one, including a crucifix of the XIV century, a statue of St. Anthony Abbot and a silver reliquary of the XV century. The Chapel of St. Stephen in Ville. The medieval mansion of Ayez, built in the XV century, is a stone structure with carved stone windows. At present it is the seat of the Library and the Carnival Museum of Coumba Freid. The Carnival feast, very important moment for the rural tradition of the area, is a very salient event and a great opportunity to taste the traditional products. This town web page has been visited 14,304 times.